Following the family & friends party the week prior, newcomers to London, Sneakersnstuff were to host another party, and this time it was open to all who were quick enough to get themselves on the guest list. Since 1999, Peter and Erik have been continually pushing forward and with the huge success of both their Swedish stores in Stockholm and Malmo, it’s really no surprise why they’re extremely well known across the ‘sneaker world’ and often dubbed as the ‘king of collabs’. Some may have been a little apprehensive with the opening of another store inside London, as there’s already plenty of competition, but if the turnout for their opening weekend is anything to go by, then they’ll fit just right in. 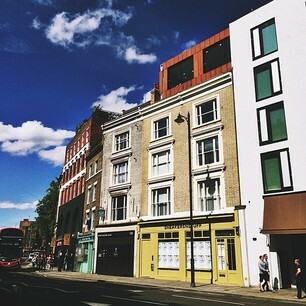 The SNS London store is based at 107-108 Shoreditch High Street, a great location, and the store itself is an extremely nice space. 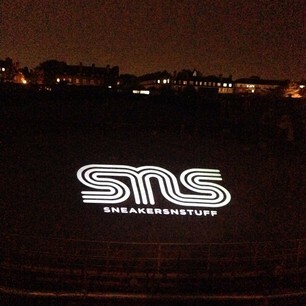 The 6th of June is the National Day of Sweden, and the perfect day for SNS London to host their Opening Party. The event was to be held at Oval Space in East London, which turned out to be an breathtaking venue, and big shout to a number of names (@anumberofnames) for setting up the event. The event wouldn’t of been as huge as success as it was if it wasn’t for the great people who turned up, and also the incredible line up of artists performing… oh, and not forgetting the free bar! 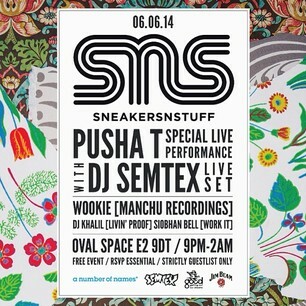 In order of play on the night; Siobhan Bell [Work It], DJ Khalil [Livin’ Proof], Wookie [Manchu Recordings], DJ Semtex and of course, the brilliant Pusha T for his massively anticipated set. Here’s to many more SNS events and to great success in London!